I am not a super-plan-ahead-get-all-my-shopping-done-and-wrapped-early-for-Christmas kind of girl. I tried. It didn't work for me. Make lists of people and possible gifts. When I see something on TV, in a magazine, on a blog or on etsy, I write it down in a journal (I am old fashioned that way). Guess what I always have a log of who got what, so next year when I am trying to remember what I got Aunt Sally, I can see that I bought her a scarf last year and don't buy her another one this year! This year I invited my friends to my house to DIY some holiday gifts and then to hit some of the local shops. Did you know that particular coffees pair better with particular flavors? I did not. I have heard of pairing other foods and beverages, but never imagined that pairings would also apply in the coffee world. Thanks to Starbucks and a trip to to my local Walmart, I had a first run at the #DeliciousPairings Starbucks has to offer. 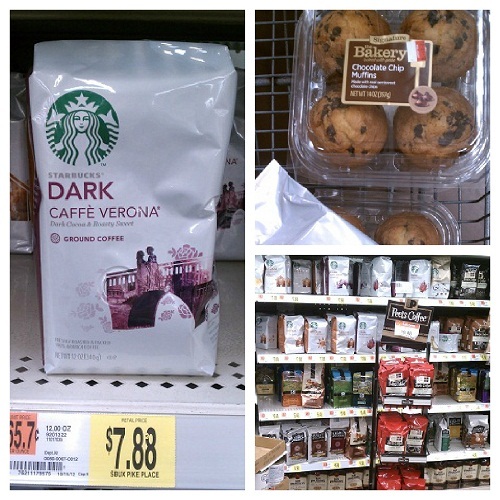 Hubby and I headed to Walmart to purchase Starbucks Caffe Verona (I am always excited to find a new blend to brew at home) and the complementing chocolate chip muffins in the bakery department. Some Walmart's have special displays in the bakery department showcasing the Starbucks coffee and the delicious pairings with the Walmart bakery items, but alas my Walmart did not have a Starbucks display. 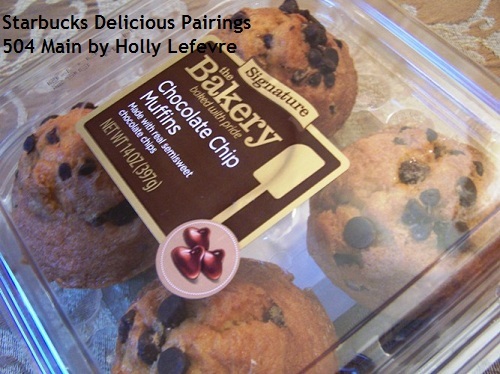 So, I grabbed a couple packages of chocolate chip muffins (chocolate chip muffins have to be my favorite!!!) and headed to the coffee aisle to get my Caffe Verona! The Caffe Verona was almost out, so I am guessing this is a favorite brew. and I have purchased some of their coffee for home brewing. I had never tried Caffe Verona prior to this pairing. and was quite happy when I told him this was the brew we were purchasing. it was the perfect option. When I got home, I was so excited to sit down and enjoy a cup of the Starbucks Caffe Verona all by myself. I took this time to really enjoy the rich dark cup of coffee and experience how well it paired with the Walmart Bakery chocolate chip muffin. The Caffe Verona has complimentary notes for Milk and Dark Chocolate and for Caramelized Sugar. It also really reminds me of an Italian Roast (which happens to be a favorite in this house). 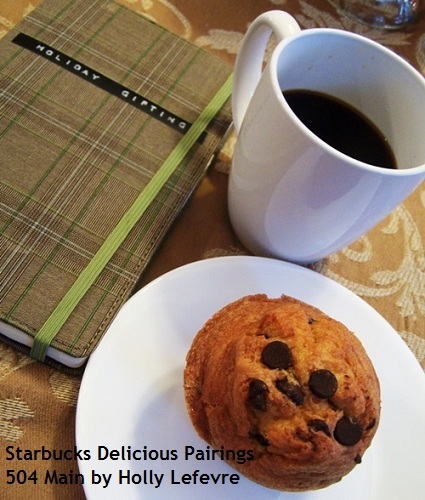 To be quite honest, I was totally blown away by how nicely the coffee and muffin paired. The coffee had a deep robust, cocoay flavor on its own, and the muffin was also delightful, but the combination of the two seemed to make the muffin melt in my mouth! I eventually let hubby try it too, and he LOVED the Caffe Verona. I was excited when the morning rolled around and my friends arrived. I had the Caffe Verona brewing and the chocolate chip muffins waiting. and a few holiday banners. Then we headed out to the local shops to continue with the fun. 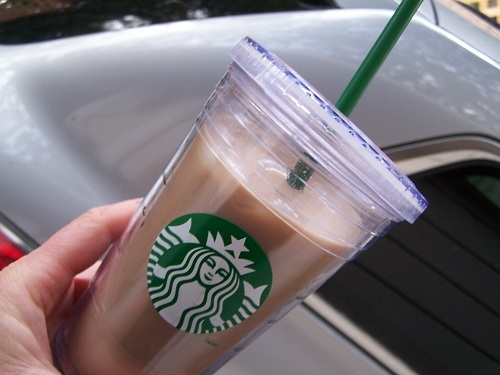 I even took some of that Caffe Verona along with me (in my Starbucks to-go cup) - iced with a touch of milk and sugar! I do love an iced coffee as well...and this was delicious! I cannot think of a better way to tackle my holiday gift list than with a cup of amazing coffee and a chocolate chip muffin, and friends. Yummmmmmm! Caffe Verona is SO SO good, isn't it?